Just a short notice that we have added the link to the Savage Fincast Discord channel to our Links Section. The guys from the Fincast came up with the great idea to use Discord as a chatroom where we can text or voice chat about the latest issues or everything else Savage Dragon related. You can simply use Dicord in your browser but there’s also a free software with some additional features (like alerts when people start chatting) and there’s also an app for your smartphone. 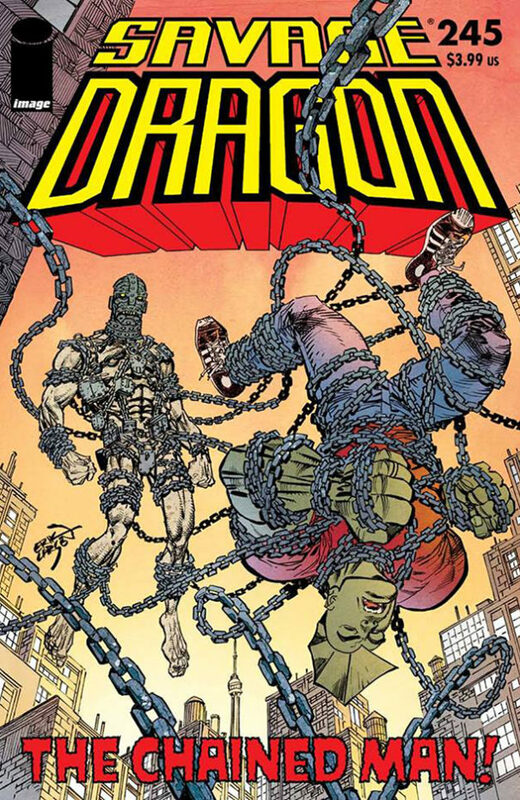 Years ago, when Erik’s Board on the Image Comics Forum was pretty much the only place to talk about Savage Dragon comics, members would often chat about all the variant issues that existed and what they were missing from their collections. I could get confusing. What was that issue again with the Matsuda cover? Which variants were newsstand editions? Why are there two wizard #½ comics and which came with a COA (Certificate of Authenticity)? At one point I came to the conclusion that we needed a complete overview of all existing variants and so I gathered all the covers and made a thread that became a sticky at the top of the forum. The Savage Dragon board is unfortunately gone now and although Erik does have all the covers on his Facebook page I still think it’s cool to have the Savage Dragon Variants Overview back on the official site. First post in a brand new direction! Well, it’s come to this: savagedragon.com finally got a redesign. It was long overdue and it took me way too long, but here we are. In with the new, out with the old. It’s still work in progress. Most likely it has a couple of bugs. I already know about a couple of things that need improvement. Let me know if there’s anything that doesn’t work or if you have any suggestions. It’s still missing some content. I need to put all the crossovers and collections into the comics section and I’m also thinking about implementing the classic variants overview (now that the Savage Dragon forum on the old imageboards is history). Eventually each issue is supposed to have its own page with a short summary and a link to the wiki. As you can see I already have the layout for that but it will take some time to fill in all the content. And I might bring back the sketches collection from the old site. I know Erik has a huge collection on Facebook but I’d love to have that on the official website as well. 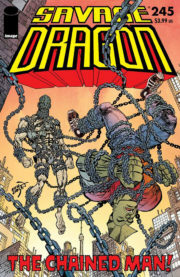 For now, I’m glad the savagedragon.com redesign is finally online and it’s still in time to celebrate Savage Dragon’s 25th anniversary. What better way to say thanks to Erik for 225+ issues of the best superhero comic on the stands.